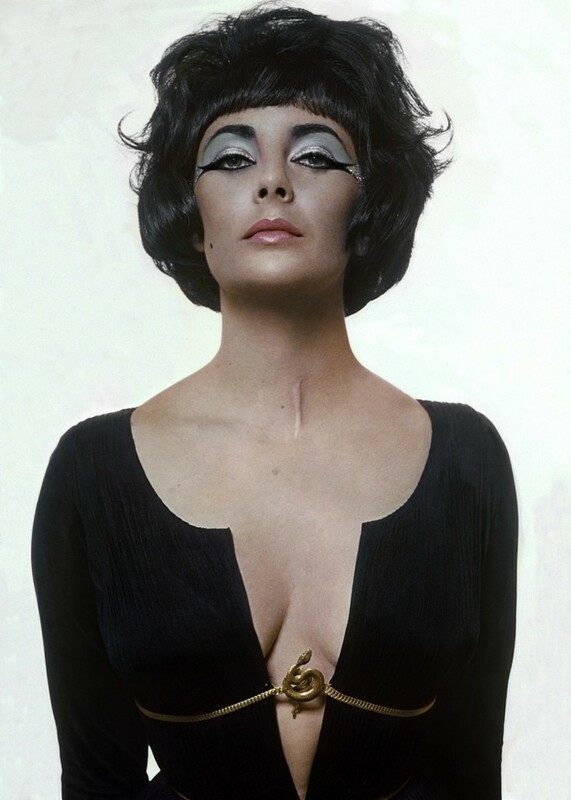 Elizabeth Taylor before playing the role of Cleopatra. Alberto De Rossi did the Make-up. 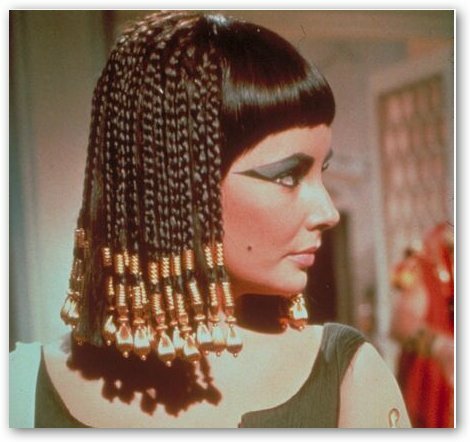 Stills from Cleopatra (Joseph L. Mankiewicz, 1963). 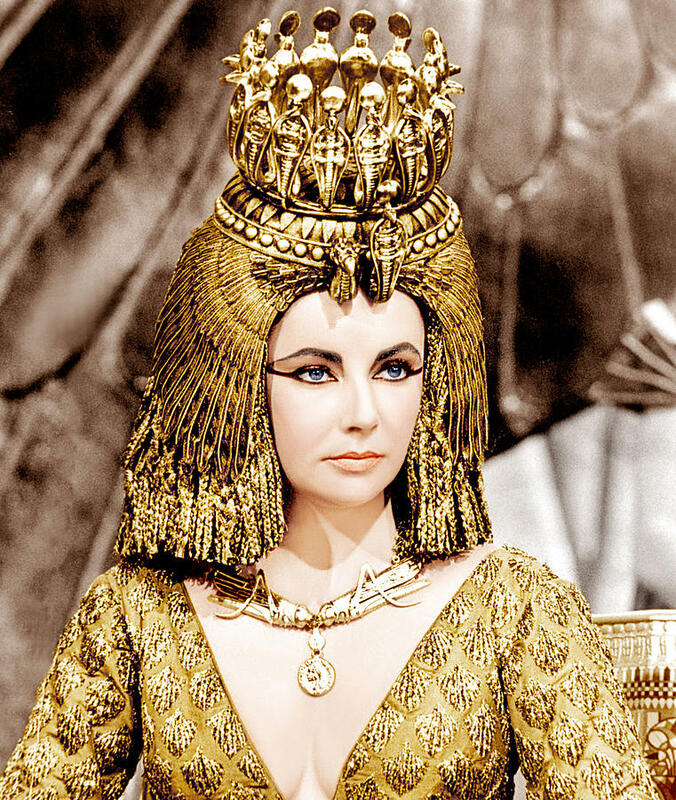 The film earned Elizabeth Taylor a Guinness World Record title, “Most costume changes in a film”; Taylor made 65 costume changes. Renié, (born Irene Brouillet) who was nominated for five Academy Awards, finally won an Oscar for her work on the stunning costumes of this movie, in collaboration with star designer Irene Sharaff. “In terms of beauty, Elizabeth Taylor was born charmed. Not only was she born with sapphire eyes that looked violet in some lights, but she also had Distichia – a rare condition that meant she was born with a double eyelash. How lucky to always be screen-ready, with a natural set of false lashes! Even as a child actress Taylor was told she had grown up eyes – too mature, apparently, for her face. Her looks were disconcerting to an audience who were used to the super sweet golden curls of other child actresses of the time, like Shirley Temple. Luckily for Taylor, her transition from child to adult actress went smoothly and her long career on camera and stage produced some of the most referenced beauty looks of the last century. 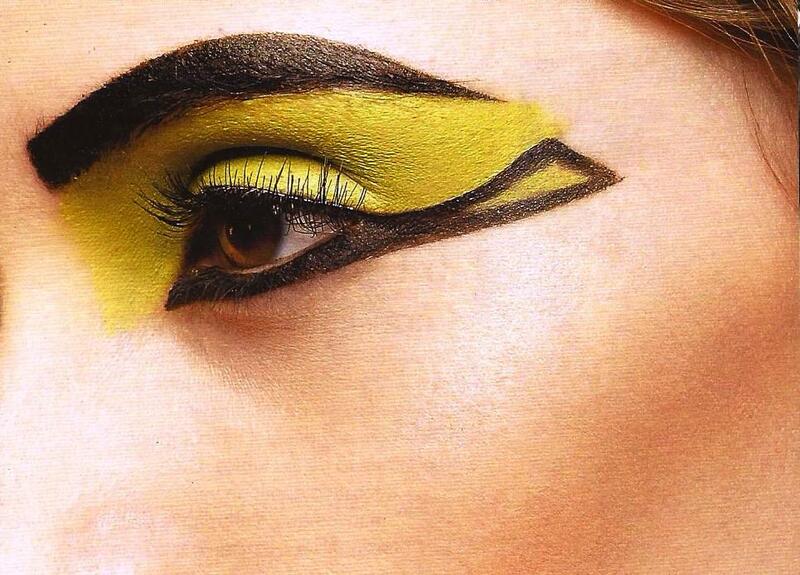 Taylor trends include Cleopatra eyes (which hadn’t looked so chic since the first Century BC), beauty spots, mega brows, and another trend that set the runways alight this AW13 season. Charlotte Tilbury’s notes and working process. “Make-up is the icing on the cake, what helps to complete my fantasy on the catwalk”, McQueen said. 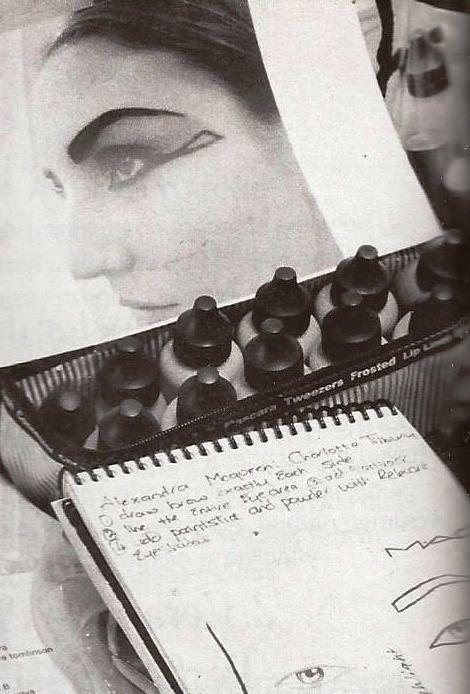 McQueen became the first designer to participate in MAC’s promotion of cosmetic releases created by fashion designers. The collection, McQueen, was released on 11 October 2007 and reflected the looks used on the Autumn/Winter McQueen catwalk. 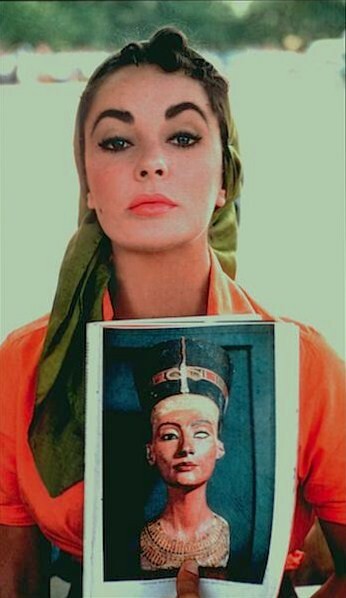 The inspiration for the collection was the Elizabeth Taylor movie Cleopatra, and thus the models sported intense blue, green, and teal eyes with strong black liner extended Egyptian-style. The inspiration for this show is autobiographical. The collection of Grecian dresses and warrior-like moulded bustiers came to life after the designer’s mother (Joyce) traced the McQueen family tree back to Elizabeth Howe, one of the victims of the Salem witch hunts in 1692. So, McQueen is related to several of the women who were hung following the Salem witch trials — and this leads into a sartorial exploration of witchcraft in general. The subject is traced back to its Pagan roots and then to Ancient Egypt, the pyramids and the worship of the sun and the moon. The set is dominated by a huge screen onto which is projected a film directed by Alexander McQueen featuring close ups of beautiful, naked women apparently floating in limbo. The clothes reflect both protection and fertility — a new cocoon shape is designed to mimic the contours of an ovum. The catwalk is black and embellished with a blood red crystal pentagram.